Here's one of the few who could wield words in such a fashion to cement himself without a doubt in the "legendary" status. 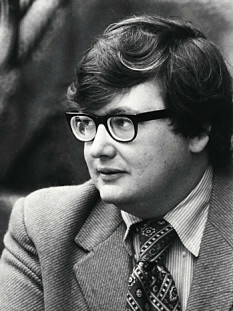 Roger Ebert passed away today, aged 70, after undergoing treatment for a recurrence of cancer that plagued him since 2002. Amongst his many accolades are a Pulitzer Prize for movie criticism and a star on the Hollywood Walk of Fame - the first film critic ever to receive such an honour from the industry in 2005. For years, his is the only review I would bother reading, not only because I enjoy his style, but whatever he says about a movie somehow always resonates with my own thoughts. His passing leaves a gap that cannot, and I dare say, will not be filled in the movie criticism business. "It really stinks that the cancer has returned and that I have spent too many days in the hospital. So, on bad days I may write about the vulnerability that accompanies illness. On good days, I may wax ecstatic about a movie so good it transports me beyond illness." Once again, he's right. Movies are not about how much money is spent making it and how much money goes into the pockets of the execs. Movies are about transporting its audience from their mundane and, sometimes, painfully unhappy lives, into a world of fantasy where dreams come true. Thank you for the hours and hours of pure reading enjoyment.